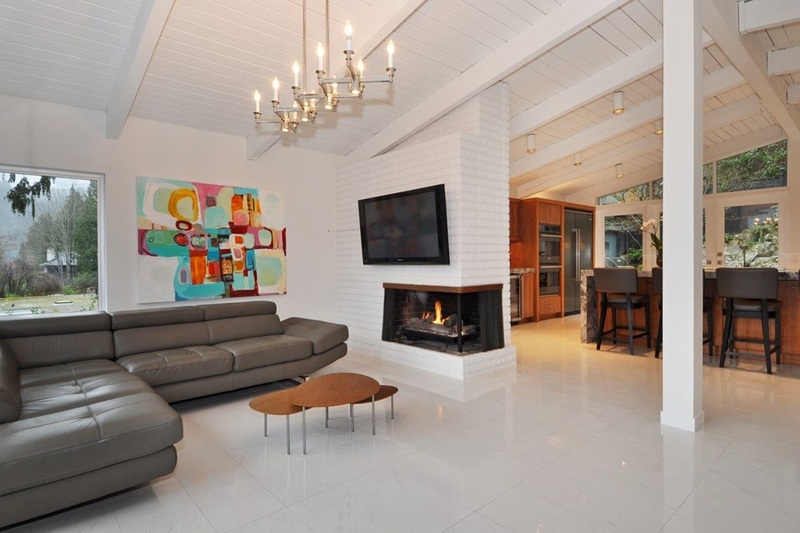 Mid-Century Modern Post & Beam, simple clean lines, light-filled rooms. 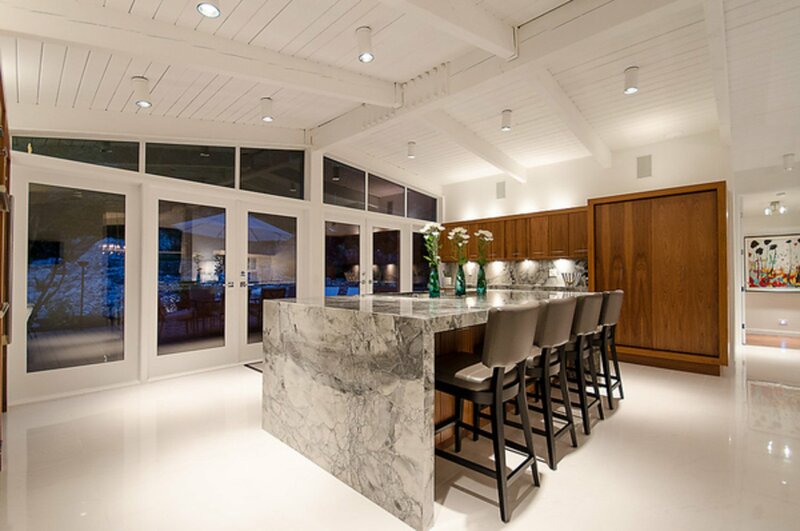 Elegant & rich walnut wood throughout. 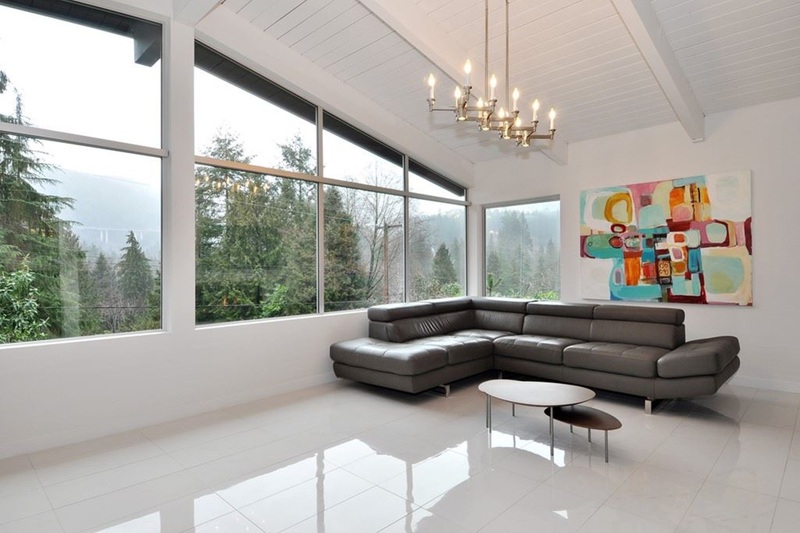 Ample windows, open concept floor plans, skylights & vaulted ceilings. 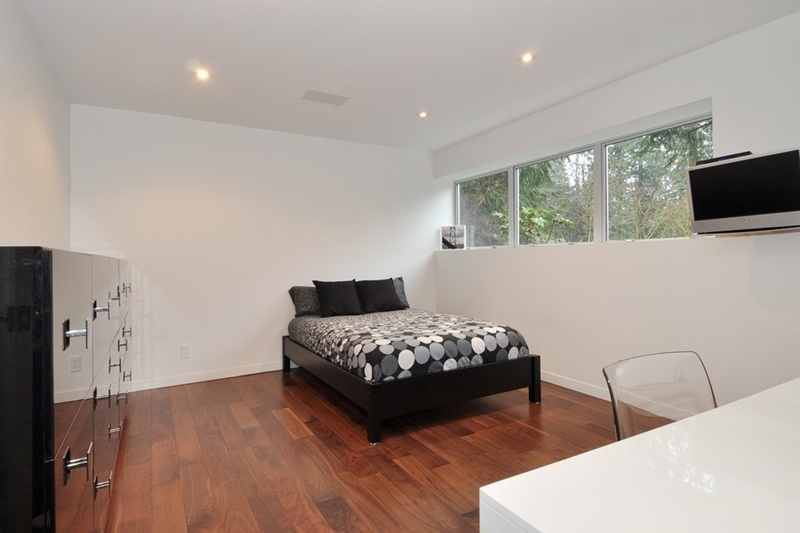 Completely renovated w/no expense spared. 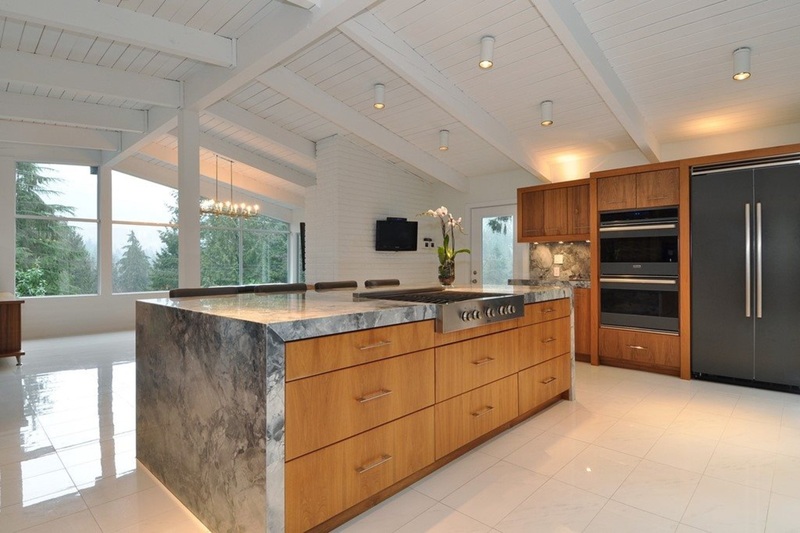 Amazing chef's kitchen, featuring Viking Designer Series appliances w/dual ovens & dishwashers, wine fridge, gas cooktop, large waterfall 3" Granite island. 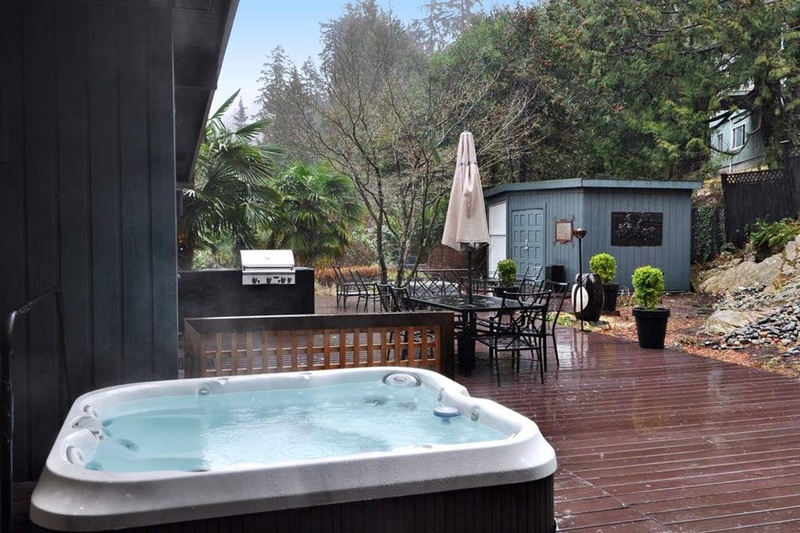 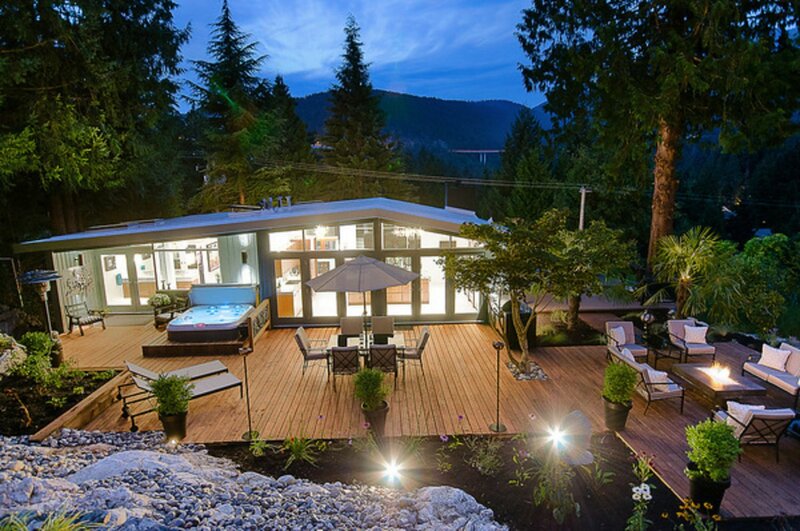 Spacious living/dining area, master bdrm with WI closet, luxurious spa inspired ensuite, opens onto deck area & hot tub. 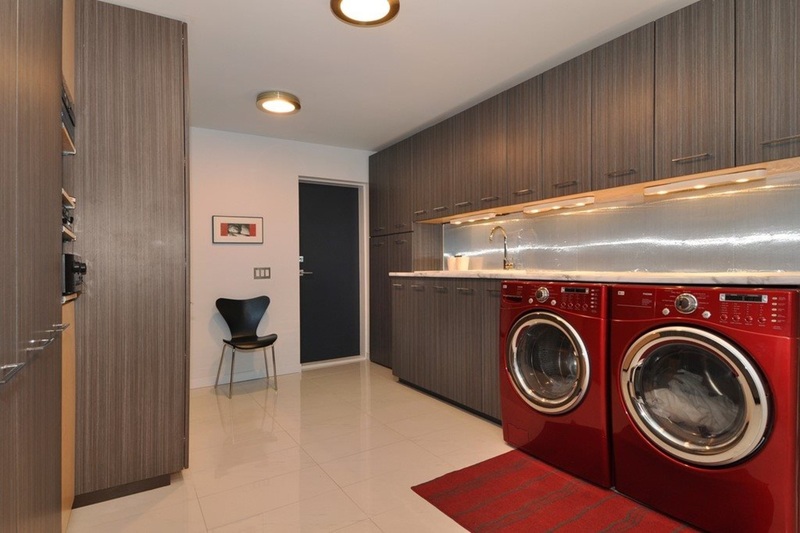 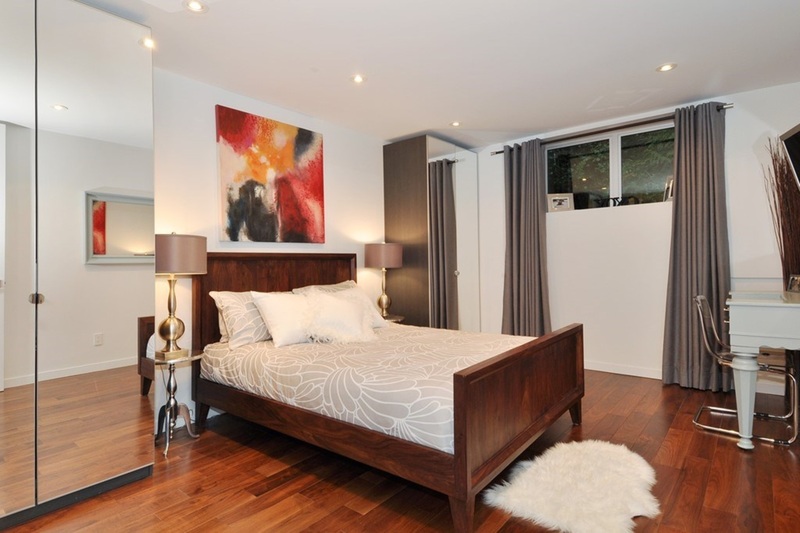 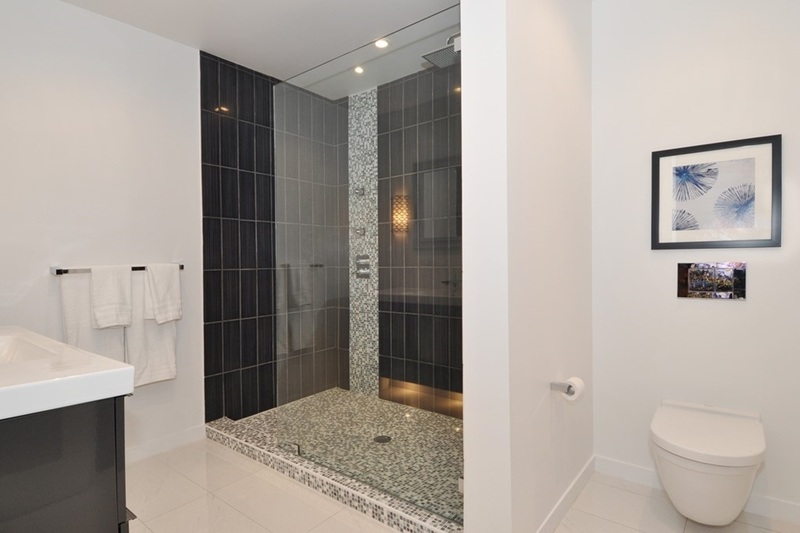 Lower level 2 large bdrms, fabulous bathroom, rec/media room & large laundry/mudrm. 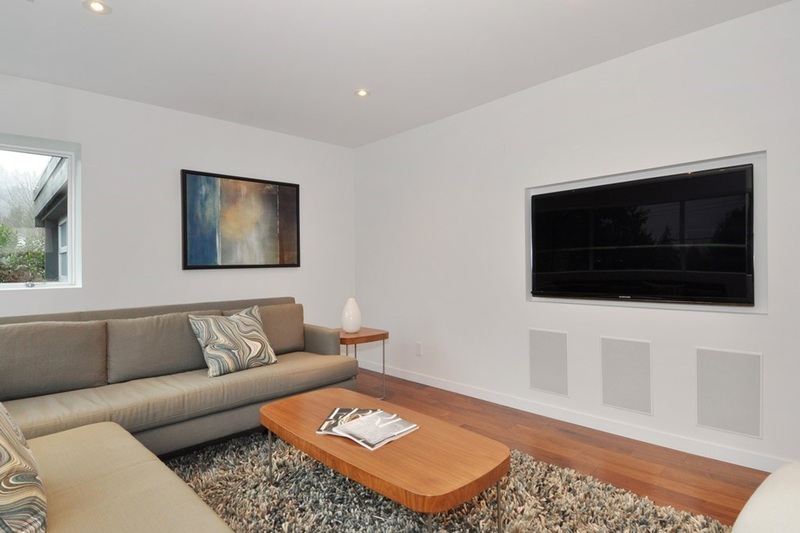 Nuvo Concerto Home Sound System, built-in speakers throughout. 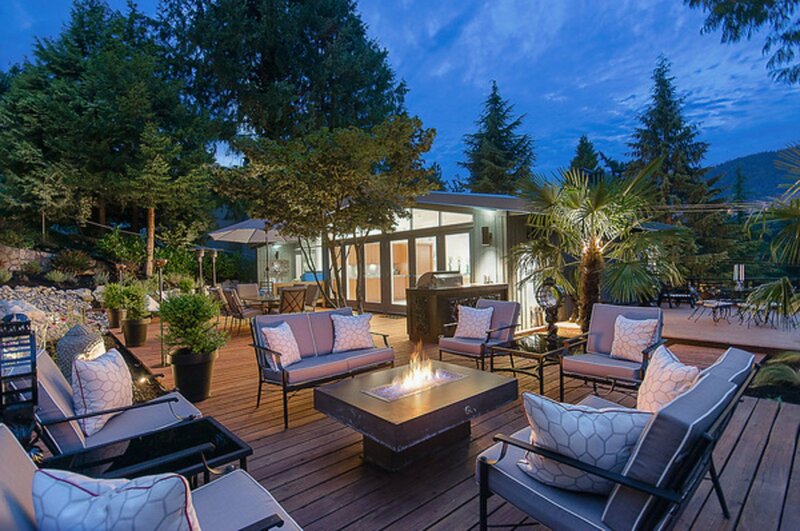 Entertainer's paradise w/over 1500SF of patios, exterior kitchen w/ AOG BBQ, hot tub, sunny private 12066SF landscaped property & double garage. 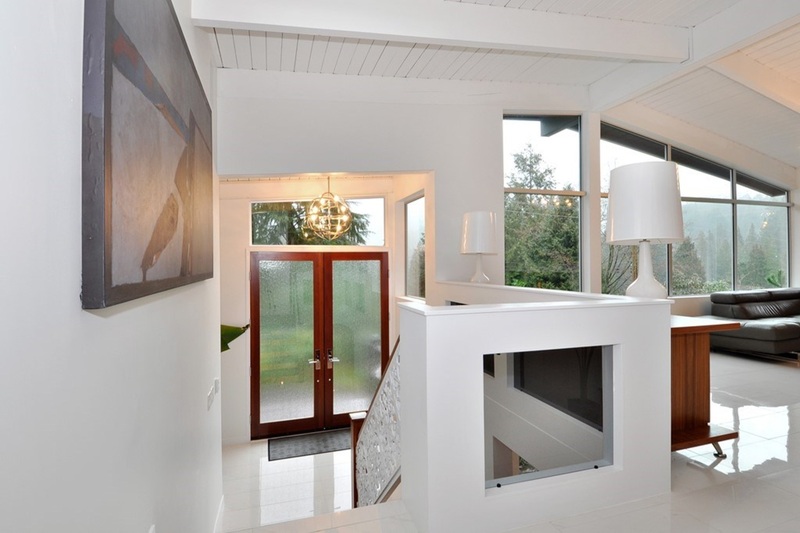 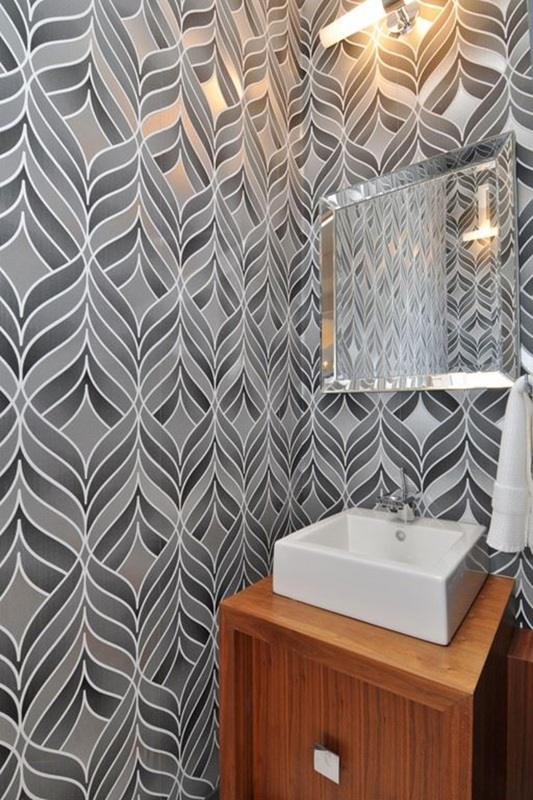 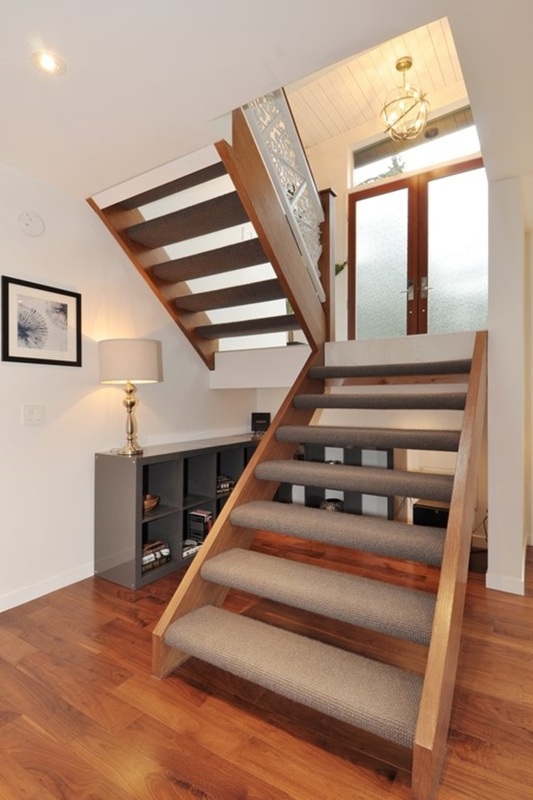 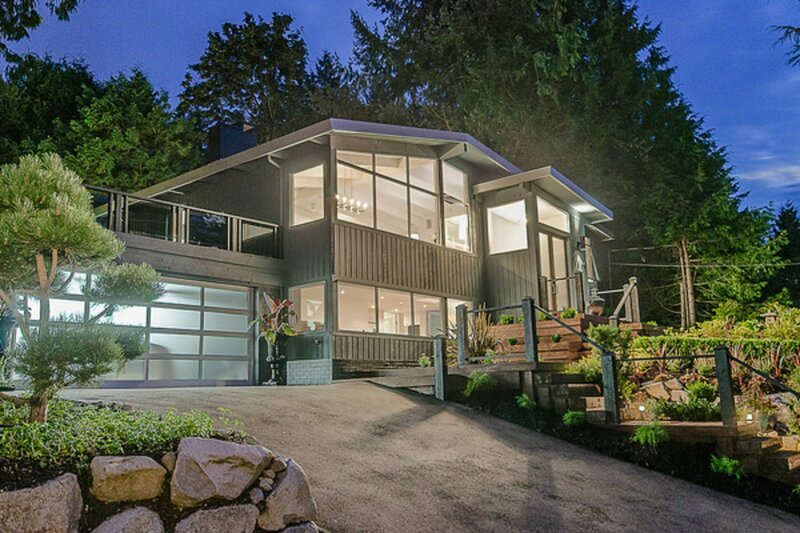 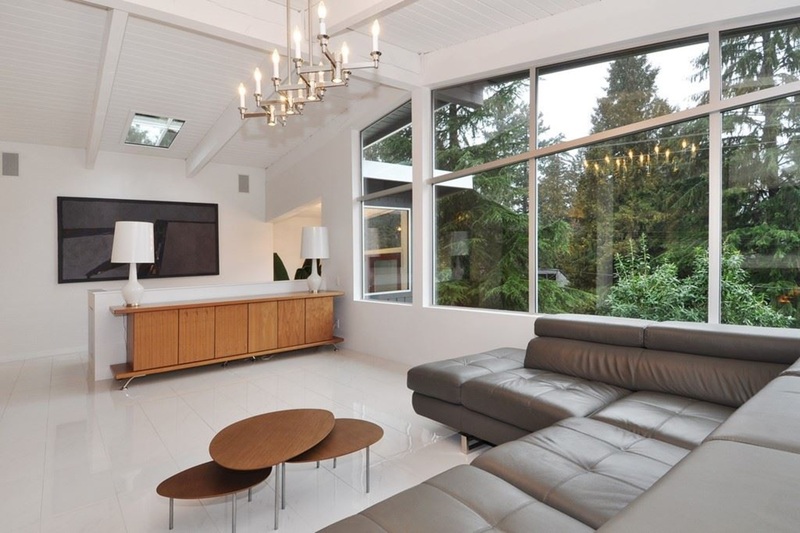 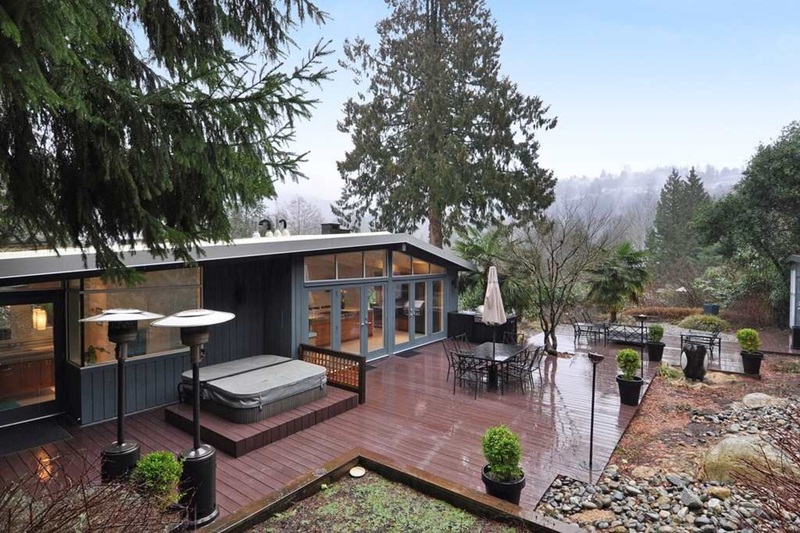 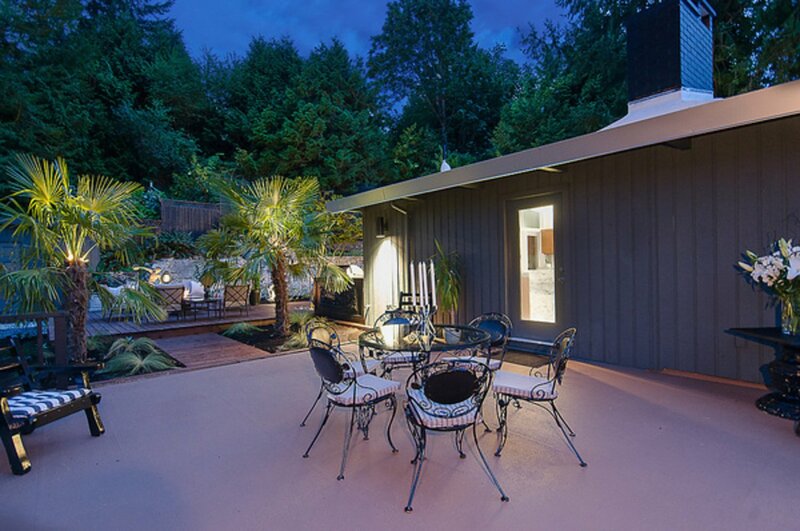 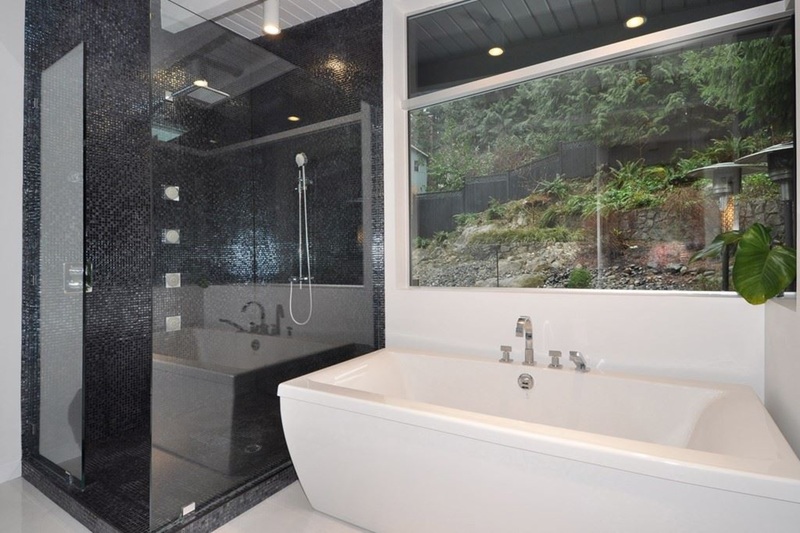 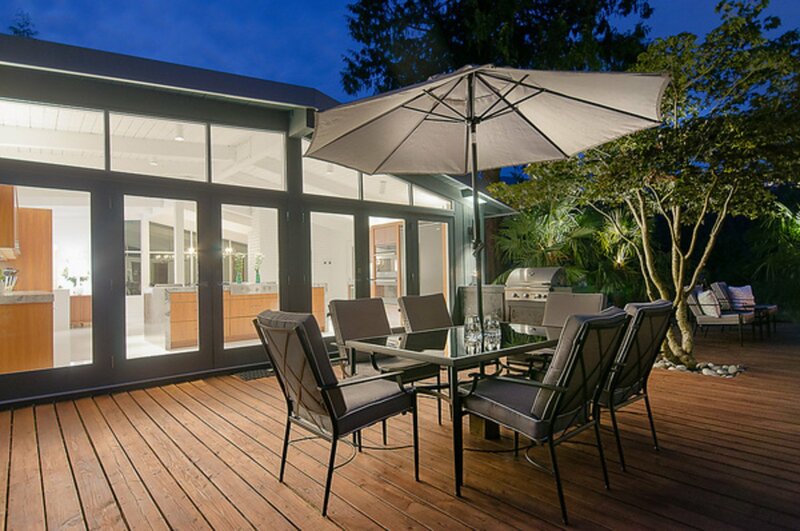 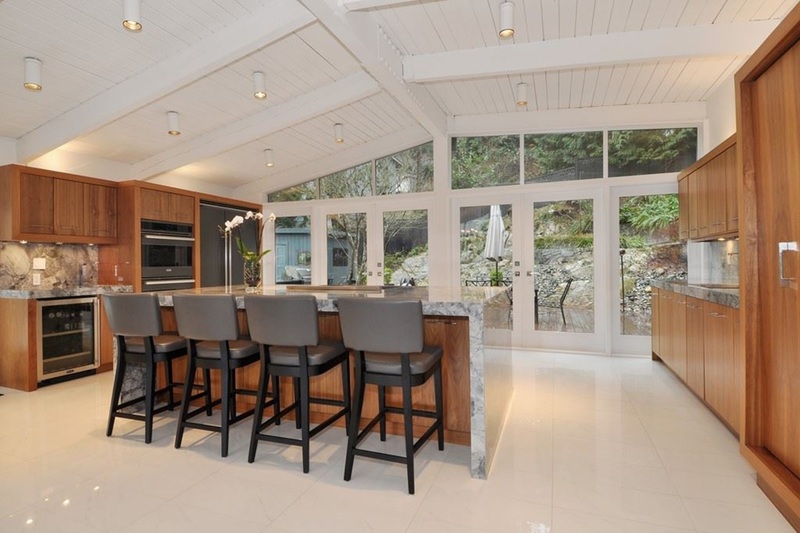 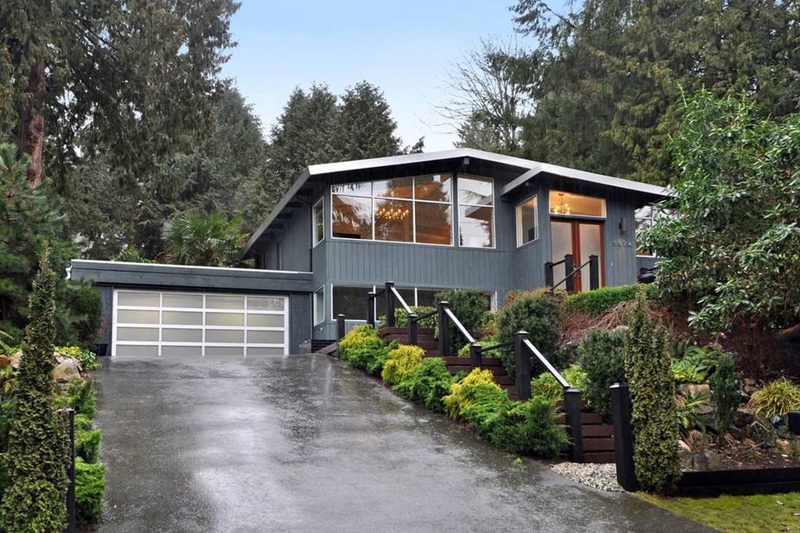 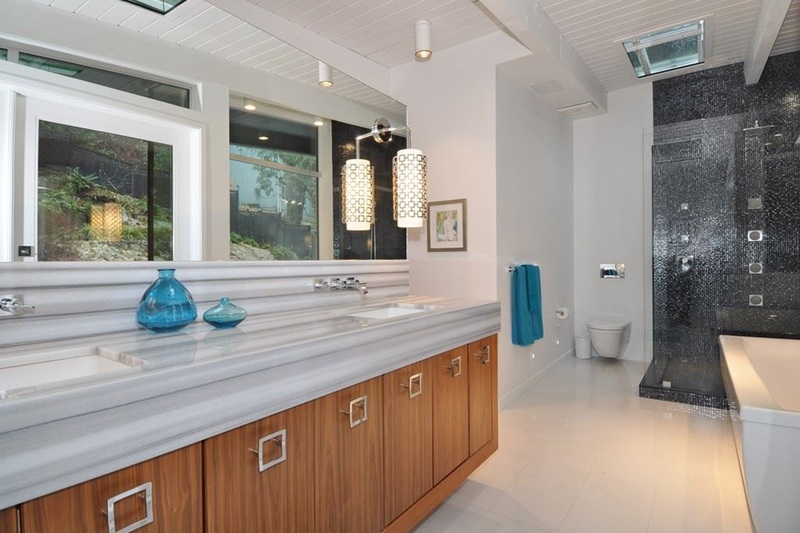 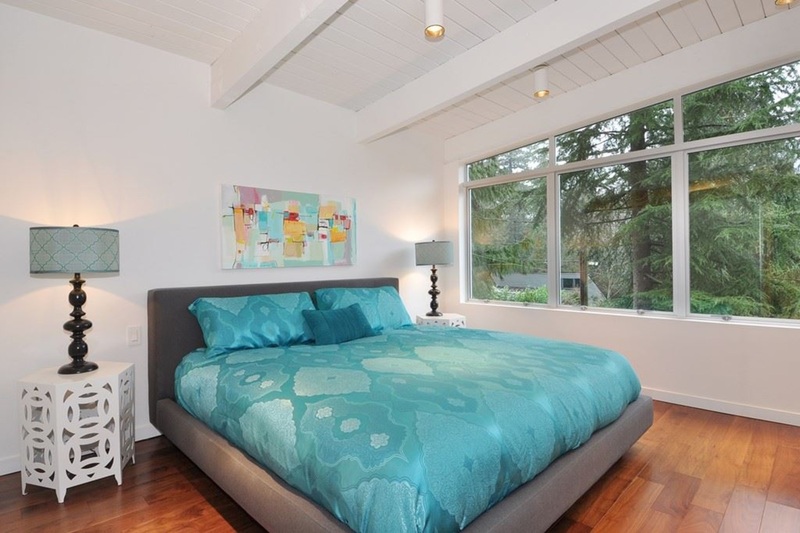 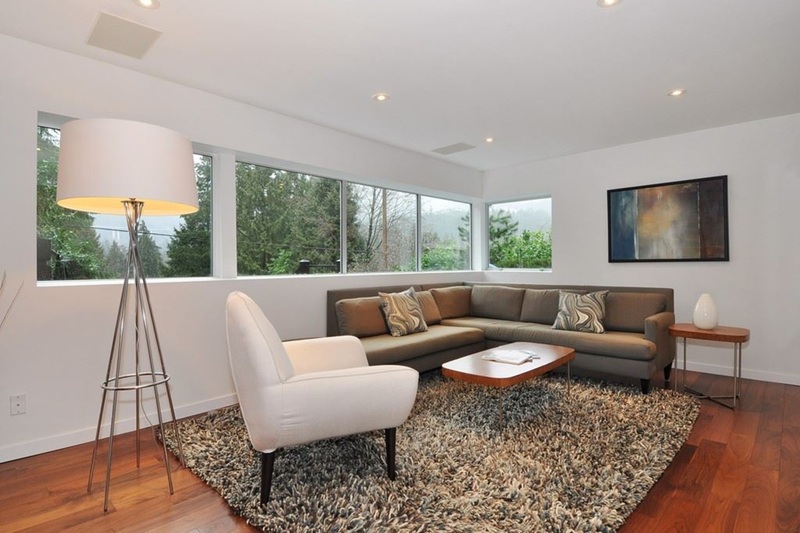 View more modern homes in West Vancouver for sale.